The humble mechanical switch is now firmly established as the switch of choice for enthusiast gamers the world over who value its durability and long-term actuation consistency. While there have been a few innovations over recent years little has really changed in the core formula of a buckling spring and metal contacts. 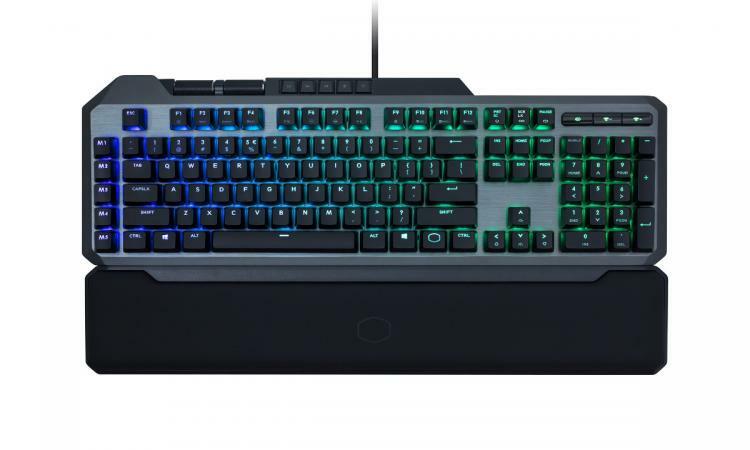 Some brave manufacturers are nonetheless experimenting with the core concept, and very much included among those luminaries is Cooler Master. The MasterKeys MK850, launched today in the US, is evidence of that fact. Bucking the trend of equipping a keyboard with mechanical switches throughout, the MasterKeys MK850 tries something special with the zone around the WASD keys: continuous, pressure-sensitive, analogue switches. Eight keys - Q, W, E, R, A, S, D and F - are equipped with an AIMPAD switch that measures the raw keystroke distance rather than just register straightforward open/closed states. This extra level of precision mimics gamepad analogue control output which can be used in FPS, MOBA and especially driving games, so long as the game and keyboard software are compatible with each other. Cherry MX Red-style switches are used throughout, offering a low actuation force of 45cN with no difference in feel between pushing an AIMPAD or normal switch, and hence won't undermine the requirement for tactile consistency in a mechanical keyboard. They're also per-key RGB customisable, with a host of pre-loaded effects also built into the configuration software. In other aspects the MK850 follows a reassuringly premium formula. It comes equipped with two configurable Precision Wheels, an PU leather wrist-rest that magnetically attaches to the base, removable Type-C cable, 512KB of on-board memory and a 32bit ARM Cortex processor. Dedicated Media and Macro keys round out a highly competitive spec. sheet. Smart cable manager:- Yes, 180 degree, 3 ways. Cooler Master's latest design has been a long time coming. Demonstrated in prototype form last year, a novel nature has meant that its whereabouts have been continually questioned on social media. Many will be relieved to finally have it within reach rather than see it consigned to vapourware status. Cooler Master's MasterKeys MK850 is now on sale in the US priced at $199. 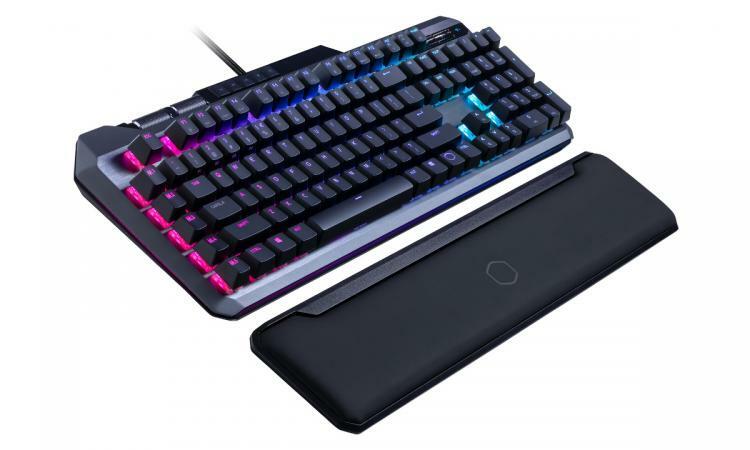 We have reached out to Cooler Master for clarification on the availability and pricing of UK and EU layout MK850's, and will update this article with any response.